Q. How do I search for films and documentaries? You can search the library catalog by title for a specific film/documentary or by topic. 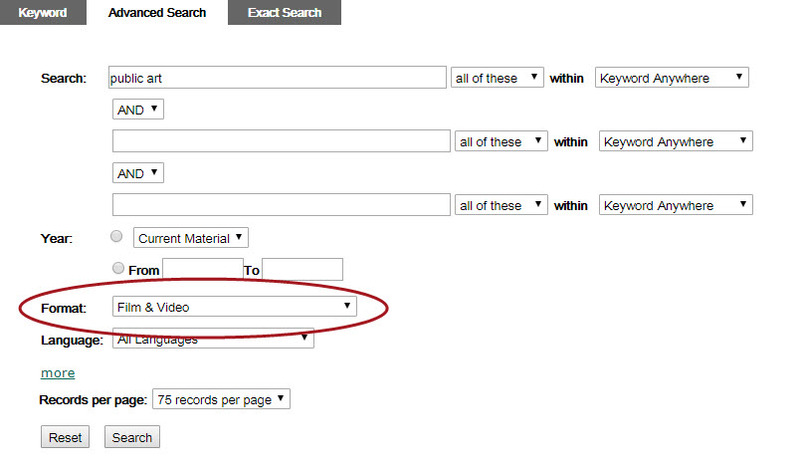 If searching by topic, select Film & Video in the format field of the catalog. The library also has several streaming video databases that you can search and browse. Use the guide that is linked below to get a full listing of those databases.